This is the time of year where you'll experience the beginning of spring or the end of autumn with it's beautiful colours. It's when things are a bit quieter but where there is still a lot going on in nearby towns, like Perugia's many outdoor markets and festivities. Winter and Christmas time in Perugia is particularly atmospheric and nothing is better than a thick hot chocolate after a winter walk in the countryside or a bowl of Strongozzi pasta with wild boar sauce. Low Season: 09.01. - 17.03. 04.11. - 31.12. At this time of year it's getting warmer or is still warm with spectacular autumn colours. 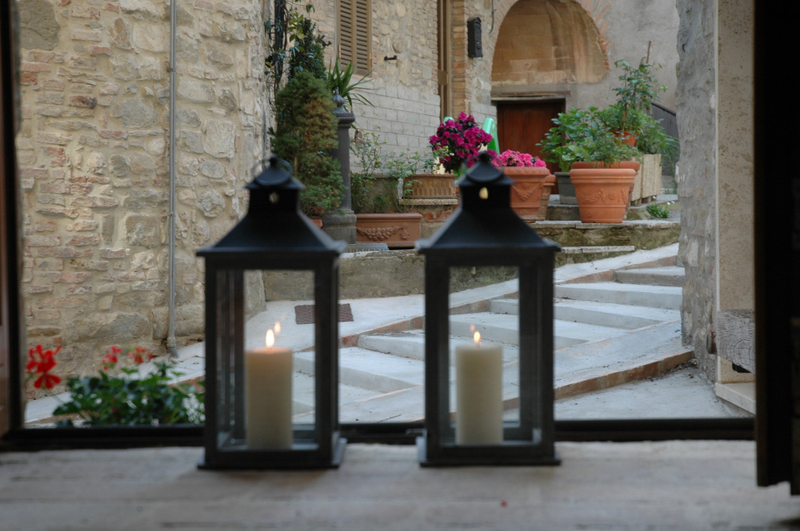 Enjoy some walks on the nearby hiking paths or visit one of the many beautiful towns and villages like Gubbio, Assisi, Perugia or a bit further afield Todi, Spello, Spoletto or Orvieto. The list goes on and you will be spoiled for choice and let's not forget the famous Perugia Chocolate Festival in October! Shoulder Season: 18.03. - 07.04. 07.10. - 03.11. Enjoy the views from the garden or go to the nearby Agritourismo where for 10 Euros per day you can enjoy the large outdoor swimmingpool (only 2 min by car/10 min by foot). Or go a bit further afield and visit Lake Trasimeno with it's beautiful towns scattered around the lake. In July you can visit the Perugia Jazz Festival with its many free concerts (and some that you pay for) featuring many famous names. High Season: 08.04. - 06.10.